Cool the body of a heatstroke victim immediately. · sponge his/her skin with cool water, rubbing alcohol, ice, or cold packs. Once the victim's temperature drops to about 101 degrees Fahrenheit, you may lay him/her in the recovery position in a cool room. If the person’s temperature begins to rise again, repeat the cooling process. If he/she is able to drink, you may give him/her some water. DO NOT GIVE A HEATSTROKE VICTIM ANY KIND OF MEDICATION. Watch for signs of shock while waiting for medical attention. If you believe you are a victim of heatstroke yourself, use the above seven steps as an action guide, and try to get someone to assist you. Do not hesitate to ask people nearby for help, if needed; staying alive trumps modesty and shyness. For heatstroke victims who are home and need to contact paramedics for attention, dial 911. If you are not near a phone, or too weak to get to a phone or to use it, you can still get immediate help if you are a member of Life Alert; simply press your pendant to get in touch with live dispatchers within seconds. They can send help to you, which will arrive in a matter of minutes. Life Alert members who are not home when heatstroke (or other emergencies) strike can also use a special one-button 911 cellphone (an optional feature). If you don’t have Life Alert, see below for links to information on this lifesaving service. The article above is covered by a Creative Commons Attribution 2.0 License. The information provided is, to the best of our knowledge, reliable and accurate. However, while Life Alert always strives to provide true, precise and consistent information, we cannot guarantee 100 percent accuracy. Readers are encouraged to review the original article, and use any resource links provided to gather more information before drawing conclusions and making decisions. Dr. Don Rose writes books, papers and articles on computers, the Internet, AI, science and technology, and issues related to seniors. 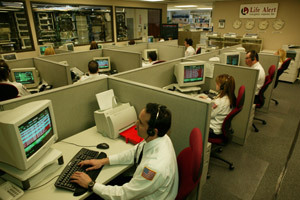 We at Life Alert strive to provide excellent and prompt service to our members and help them in any way possible. Here are some FEATURED Articles which might be very helpful for Seniors. © Copyright © 1987–, Life Alert, Inc.